Our newest idea book has just launched, and we are dying to tell you about a whole new line of products! 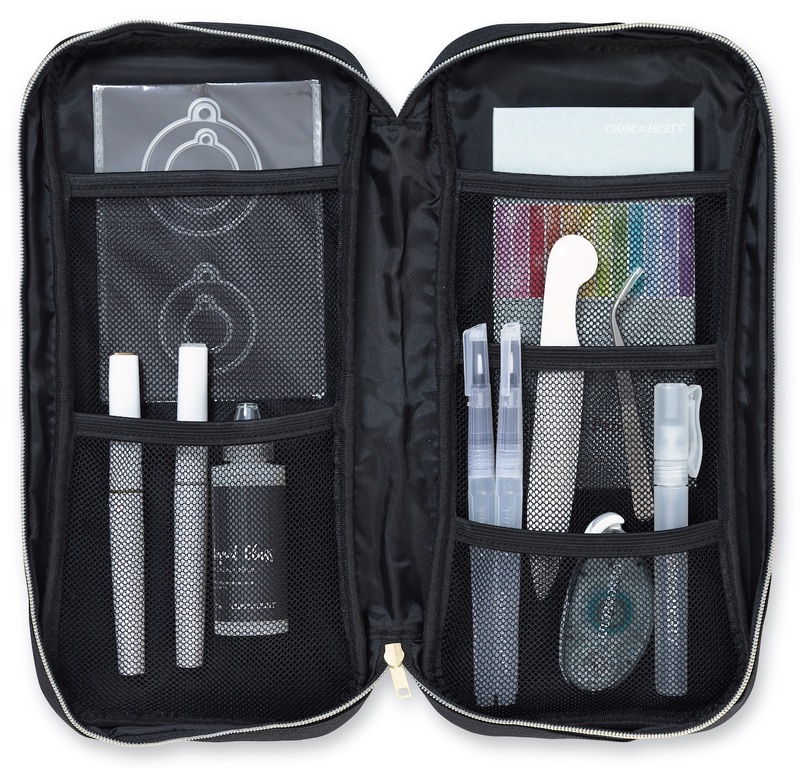 Designer Travel is our new, stylish, on-the-go organization system specifically designed to work with all of your favorite Close To My Heart Products, from papers and tools to markers and stamps! Review the images below to learn more about each of the new products in the line. To see how the pieces all work together, watch the video that follows. Carry-all Case. 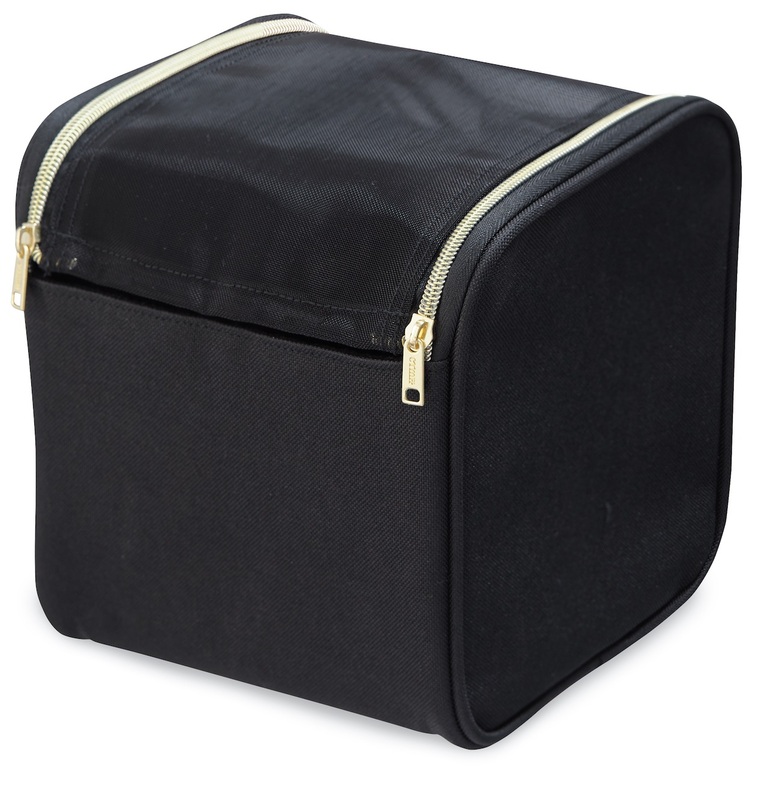 Hard-case bag with gold accents; attaches to trolley and fits paper insert or other Designer Travel storage cases. Paper Insert. 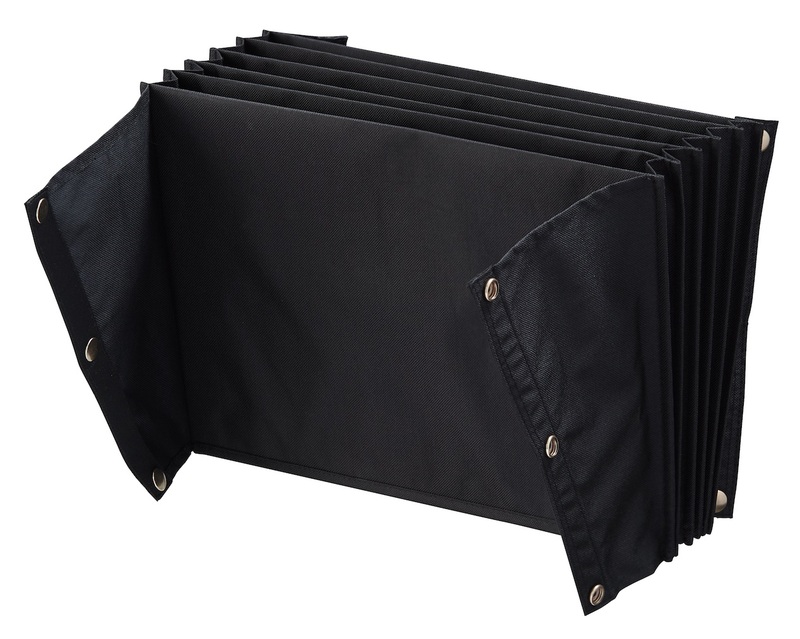 Six-pocket accordion-style insert sized to hold 12″ x 12″ paper; snaps into carry-all case, creating an additional two pockets. Tool Case. 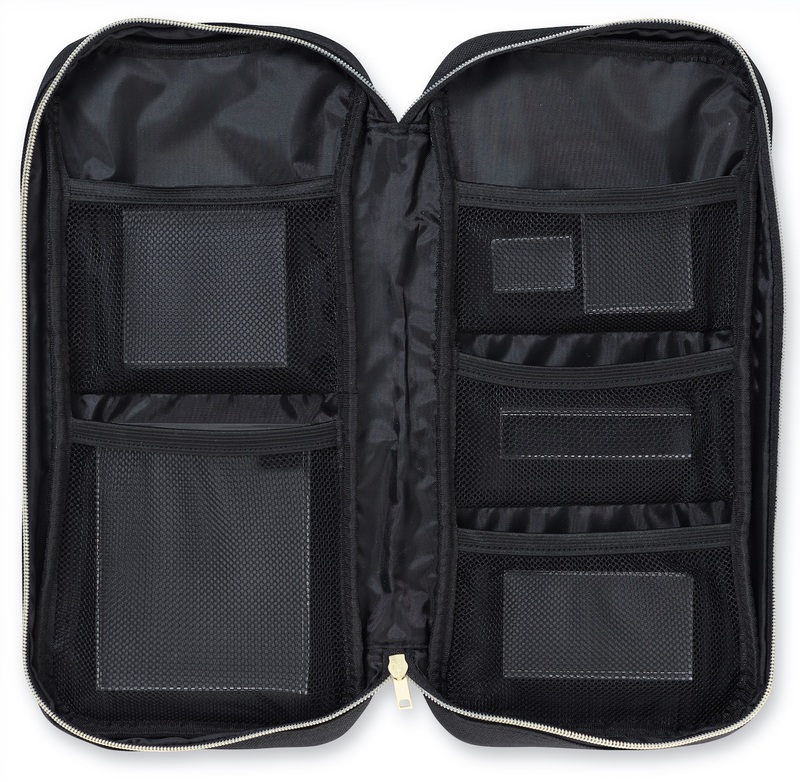 Five internal mesh pockets sized to hold various tools and embellishments; zipper closure; fits inside carry-all case. Block Case. 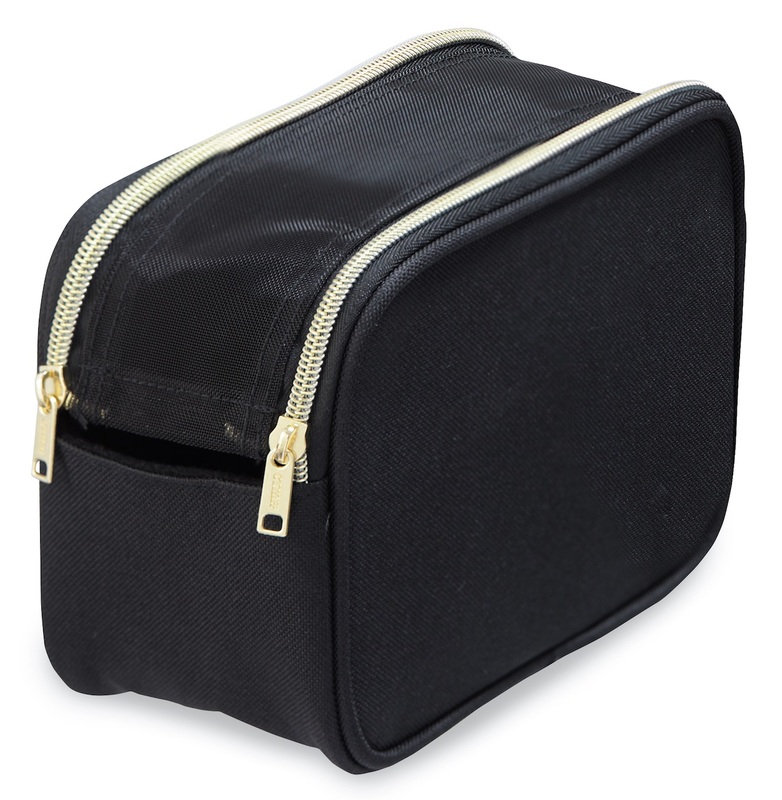 Five internal mesh pockets sized to hold My Acrylix® blocks; zipper closure; fits inside carry-all case. Marker Case. 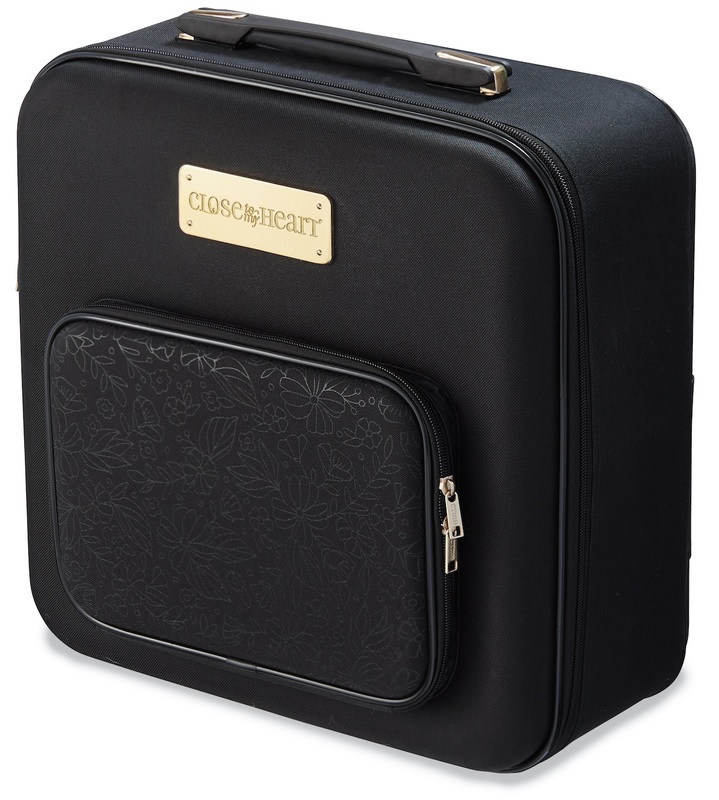 Holds up to 26 markers; zipper closure; fits inside carry-all case. Ink Case. Holds 10 stamp pads with two movable dividers; zipper closure; fits inside carry-all case. Stamp Case. 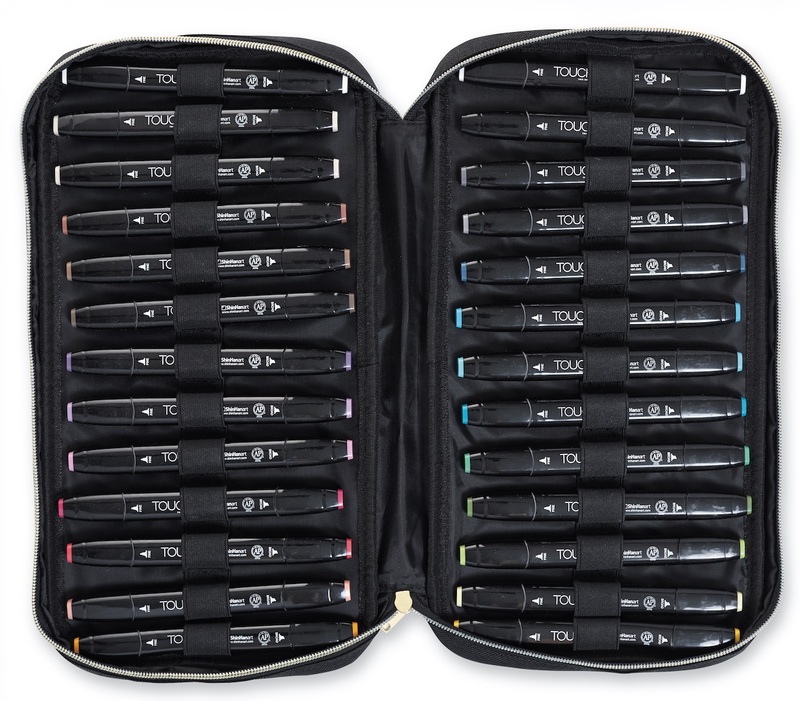 Holds 15 stamp sets with two movable dividers; zipper closure; fits inside carry-all case. Trolley. Foldable trolley holds two stacked carry-all cases; 360-degree wheels for easy rolling and pull-out foot for ultimate stability. 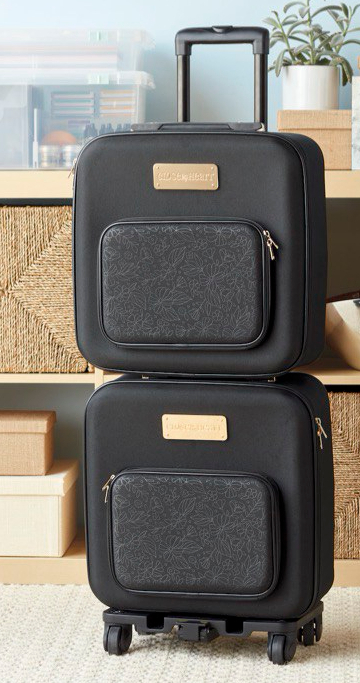 The Designer Travel system is both beautiful and functional. 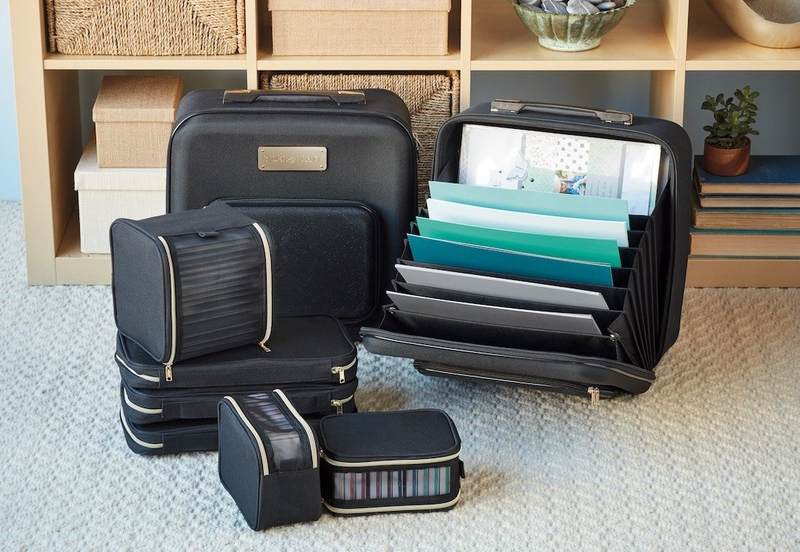 Organize, store, and easily transport your supplies and current projects anywhere your crafting takes you!